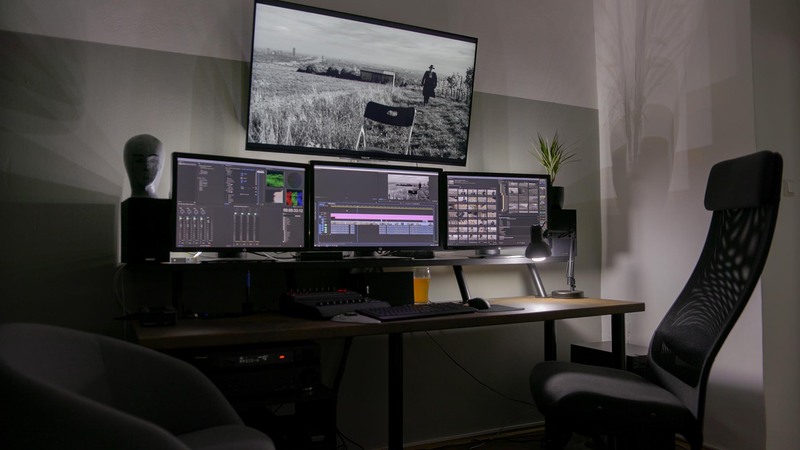 NTown Post-Productions facility in Vienna features a state-of-the-art editing suite with a custom built Win 10 based editing workstation with a full-production non-proxy 10-bit workflow with fast proxy fallback if necessary. 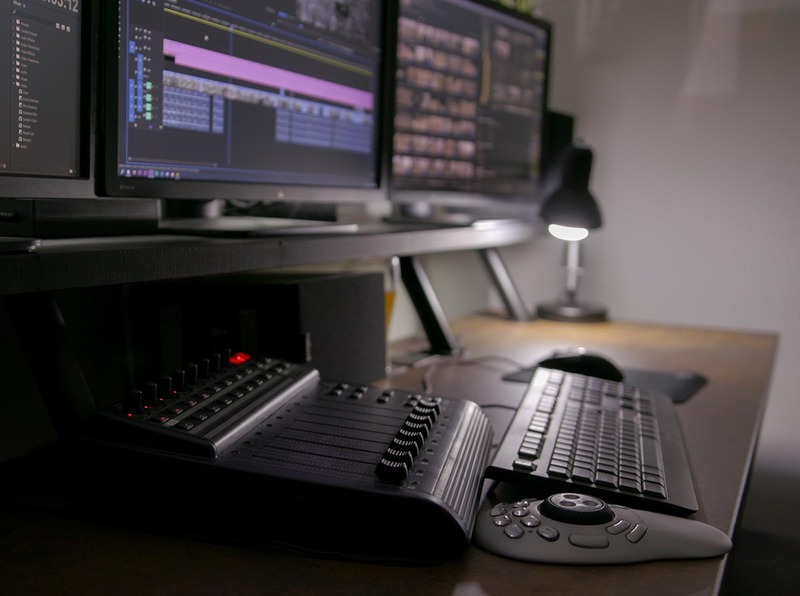 For the tech-heads: We use an ASUS based workstation with an Intel i7-E5930K 6-core CPU which we optimized for optimal performance even when working with 4K or 6K Red clips or 4K Canon XF-AVC material delivering a smooth playback performance on Adobe Premiere CC. The workstation features a high performance dual NVidia Quadro P4000 GPUs with 8GB VRAM and 10-bit color out to the HP Dreamcolor monitors, which are calibrated for accurate sRGB D65, DCI-P3 and BT.2020. The big 42″ 4K HDR Sony preview screen delivers even 12-bit color and combines booth the look of a consumer device and – because it’s calibrated – a decent preview for clients, film artists and technology buffs. Carefully tuned Nubert speakers ensures a joyfull listening experience in the highly technical editing room that screams for creativity in all possible fields. With the combination of NTown’s planing/creation/coordination, IN-HOUSE STUDIO, IN-HOUSE EDITING and FINISHING we facilitate fast and cost-effective project-turnarounds for your projects. We can edit most tapeless formats directly, with additional tape formats on demand. Our clients project workflow features automated backups and redundency to provide maximum safety for the precious resources. Our goal is high quality and maximum creativity through high-end technology for client satisfaction. 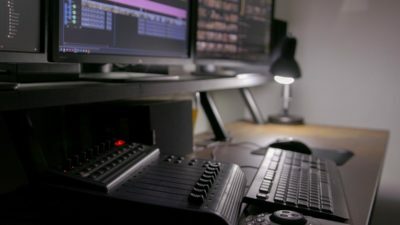 Resolution independent, 10/12-bit workflow – everything goes, from SD to 4K and beyond!